Kaoru is born half Russian, and as a result she lives a lonely childhood, despite her good looks. Eventually she marries into a fishing village, and settles into a life where she need not worry about how those around her feel. After the birth of her daughter, however, her husband's infidelity leads her to have an affair with her own brother in law, which results in the birth of her second daughter. 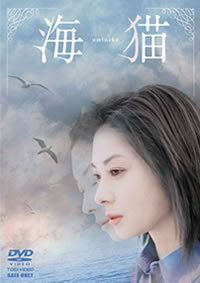 Kaoru ends up committing suicide to stop the infighting between her husband and brother in law. 18 years later her two daughters face their own struggles with love. Walking route for Umineko location shoots. The cemetery where Miya, after hearing the truth about her parents death from her grandmother, brings flowers to the grave of Kaoru and Koji in the last scene of the movie. The church that Koji often visits to draw the painting of the Virgin Mary and Child in which the Virgin Mary bears a likeness to Kaoru. Also, the location where Koji confesses his love for Kaoru after visiting Kunikazu. The cobblestone street where Koji and Kaoru walk together after visiting Kunikazu and the location where Koji suggests to Kaoru they wait until the next bus. The location where Kaoru, worn out by her life, gazes at the pendant Koji gave her as she carries her child on the way home from shopping. A fishing port in Minami Kayabe Town where Kaoru marries into a family and the focal point of her life with fisherman husband Kunikazu. The lighthouse appearing in various scenes that stands at the tip of the fishing port, as if symbolizing the fragile and complicated thoughts and interworkings of the main characters.